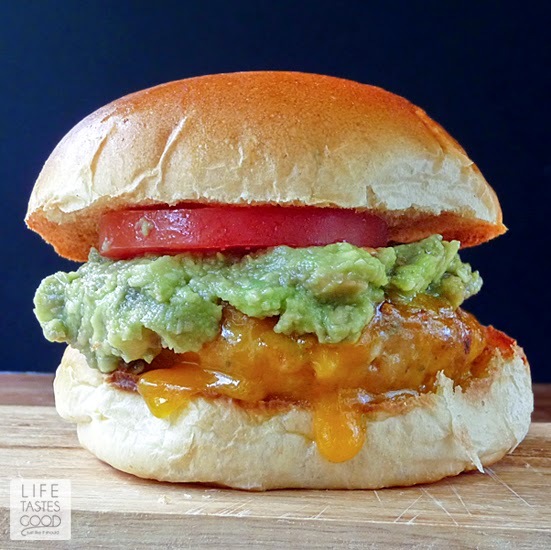 Chicken Cheddar and Guacamole Burgers are da bomb y'all! Oh my yumminess these are good! But then again, I go on and on about anything with guacamole, but really these are amazing! The chicken is seasoned perfectly with onion, garlic, jalapeno, cilantro, cumin, paprika, a little lime juice, and, of course, salt and pepper. 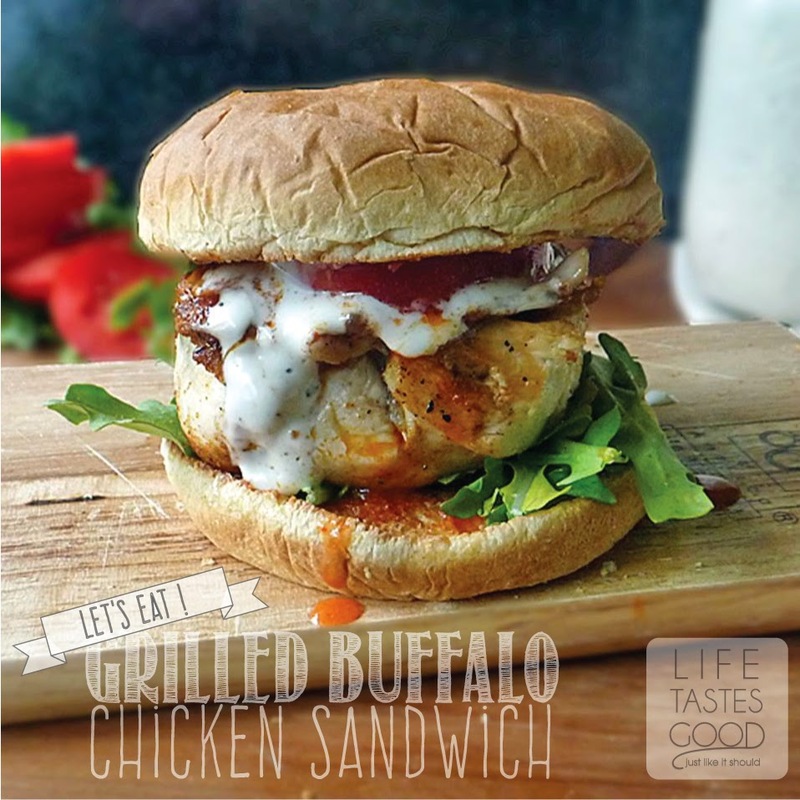 All of those flavors play so nicely together in this juicy and tender chicken burger. 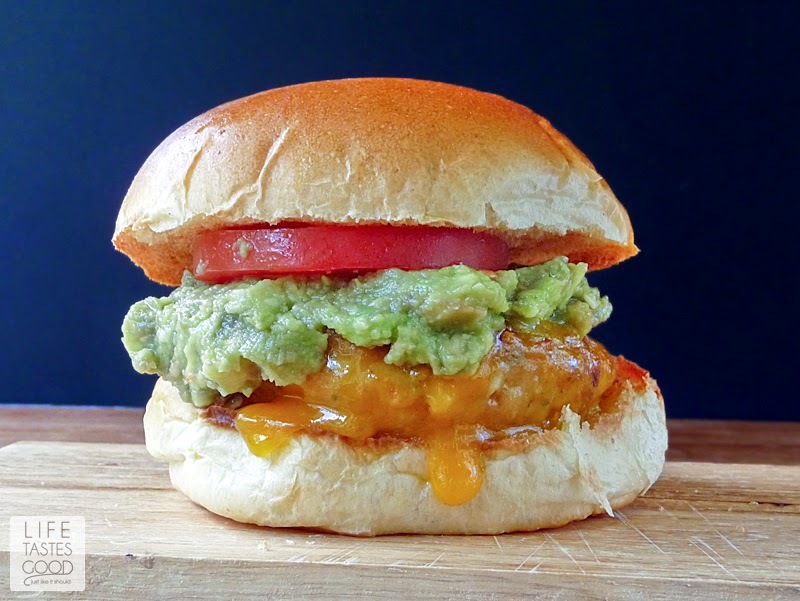 As if that is not enough, we go ahead and smother the chicken burgers with sharp cheddar cheese and then top 'em off with some Simple Guacamole and a tomato too, just for good measure. All of that is sandwiched inside a delicately toasted bun. Absolutely heavenly! I use an indoor grill pan, but these would be delicious on the outdoor grill too. Get your grill pan (or grill ready) by heating to 375°F. Mix 1 pound ground chicken, 1/2 cup onion, 1/3 cup fresh cilantro, 1/3 cup shredded cheddar cheese, 1/2 tablespoon minced garlic, 1 minced jalapeno, 1 teaspoon lime juice, 1 teaspoon ground cumin, 1 teaspoon paprika, 1/2 teaspoon kosher salt, and 1/4 teaspoon pepper. Mix this up really well so that all the seasonings are distributed throughout the chicken. Form into 4 patties. When the grill is hot and burgers are ready to go on, spray the grill with olive oil. I like to use my Misto Olive Oil Sprayer. Place the patties in a single layer on the grill pan. Cover and cook for 4-5 minutes without moving. 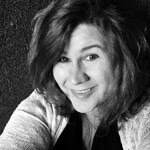 You want to get a good sear on them, so let them do their thing . Once seared nicely, flip them over, cover the pan once again, and let them cook another 4-5 minutes until cooked through. An instant read thermometer should register 160°F. Once the burgers are cooked. Turn off heat and top each burger with a slice of sharp cheddar cheese. Cover pan until cheese is melted. Place each cheese topped burger on a toasted bun and cover with a big dollop of Simple Guacamole, a tomato, and a little bit of fresh cilantro. Enjoy! now this DOES look like a juicy burger! I love all the ingredients, especially cilantro - and guacamole! The guac and cilantro make this amazing! I mean, the whole thing is amazing, but that made me want to lick/bite/devour my computer screen. If only we could smell and taste through the screen. Sigh. Oh well! I guess it just means I have to make it myself. 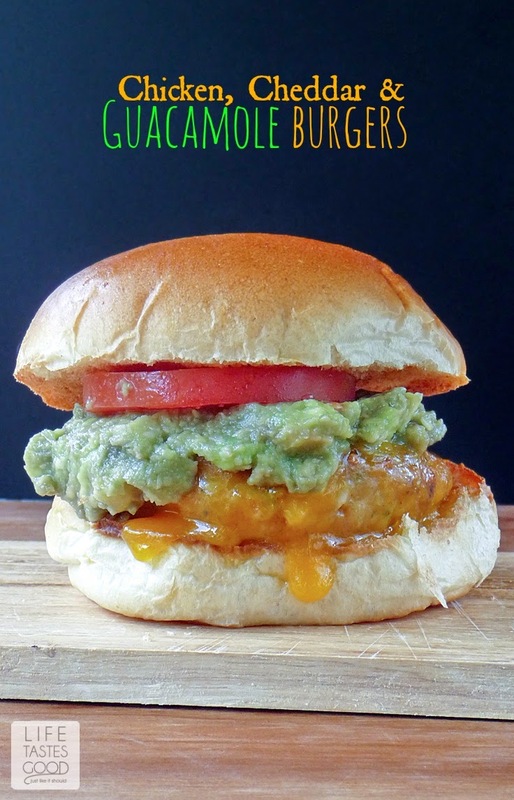 I love chicken burgers and this sounds perfect topped with guac! Great recipe, Marion! Oh mercy! That looks incredible! I don't think I've ever had a chicken burger, but believe me I'm adding this to the rotation next spring when I fire up the grill again!